Wayne State University Press, 9780814334300, 315pp. 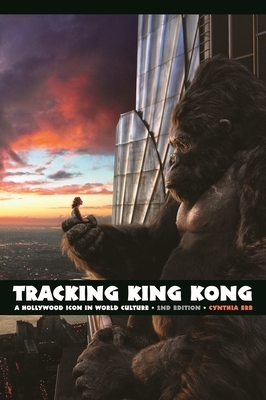 In Tracking King Kong Cynthia Erb charts the cultural significance of the character of King Kong, from the early 1930s, when Merian C. Cooper and Ernest B. Schoedsack's classic film King Kong was first released, to Peter Jackson's 2005 remake. Although King Kong has received much academic attention over the past twenty-five years, the bulk of these analyses deal with the film's human characters rather than Kong himself. In this revised edition of an influential study, Erb argues that King Kong is a particular kind of cultural outsider who represents a cross-penetration of American notions of exoticism and monstrosity. Tracking King Kong considers problems such as race and gender in the King Kong tradition, as well as historical, international, and contemporary audience and fan responses to this classic film and its popular protagonist. Cynthia Erb is associate professor of film and English at Wayne State University.